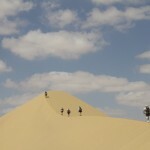 “Desert Runners” is a documentary by film makers Jennifer Steinman, Yael Melamede and Diana Iles Parker. The trio followed four participants through four brutal ultramarathons to get inside the mindset of ultra long distance runners. 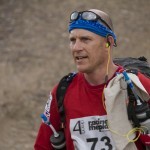 The first man to complete the 4 Desert Series “Grand Slam” was Dean Karnazes, a well-known ultra-marathon runner. In contrast, the runners in the film are ordinary people who view the challenge from very different perspectives. Ricky, is an ex-professional baseball player from the United States. Samantha is a law student from Australia. Dave is an Irish businessman. Tremaine is a British bodyguard who has worked in Iraq. He runs in honor of his wife, who died less than a year ago. “This film has been a three-year labour of love, and we are honoured to be premiering in Edinburgh. “In October of 2009, I went to a conference on health & nutrition where one of the guest speakers was a silly, wacky Irish guy named Dave O’Brien. 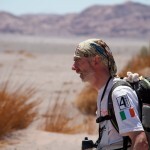 At this conference, Dave announced to the audience that at the age of 56 he had decided that he was going to attempt to run the 4 Deserts Ultramarathon Series—one of the most difficult endurance challenges in the world. 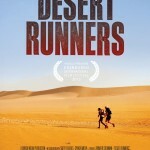 If you’d like to be in with a chance to win tickets to the 22nd June premiere of Desert Runners, click here to find out more. 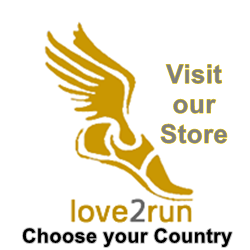 To find out more about running the four deserts, click here.